This past week was orientation for JSU students and they became acclimated with the rules and regulations of the university. One of the requirements is that all undergraduate students must complete 120 hours of community service work in order to graduate. Well this past Saturday many freshman got a head start on their community service work by showing up at eight in the morning to volunteer at Blackburn Laboratory Middle School. 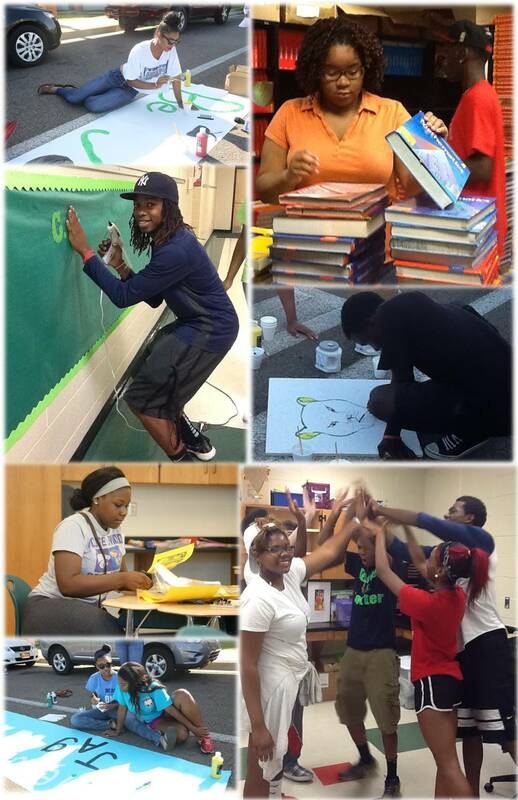 Dozens of students painted ceiling tiles, organized books, made inspirational message boards, and had fun. These hours will be logged in and added to their student profile for graduation. This project would not have been possible with out the commitment and collaboration of Blackburn Middle School, Alice Harden Center for Service and Community Engaged Learning, and the Center for University-Based Development. For more information about each group click on the links below.